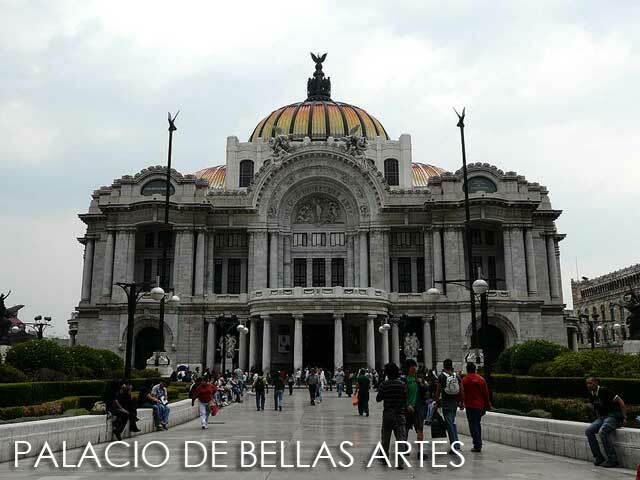 Mexico is a country that many get to see only on TV, especially for fans of those Mexican telenovelas. This Central American nation is very rich in cultural heritage. In fact, it's one of the countries with the most UNESCO World Heritage Sites. So Mexico was on top of my list of places to visit. I told Ivan Man Dy of Old Manila Walks about my summer travel plans late last year. And the next thing I knew, he was on board. Good thing since traveling with others helps bring down the costs. Traveling to Mexico was also made easy since those with valid U.S. visas can enter Mexico visa-free. We arrived late in the evening on separate flights from the U.S. After getting several warnings about using ordinary taxis in Mexico City, we made sure to take the airport taxi to our hostel in the Centro Historico. It wasn't cheap (MX$205), but it's the price you have to pay for safety. The hostel we were going to was right smack in the Centro Historico, with a grand view of the Catedral Metropolitano. It was a good first impression that didn't last though. Our peace and quiet was shattered in the next few nights since the top floor of the hostel, which was just a floor above us, doubled as a bar or party venue in the evenings. The next morning, we took it slow. Ciudad de México, México, D.F. or D.F. (pronounced de efe) to the locals, is 2240 meters above sea level. And they say it's best to rest and take it slow during the first day to adjust to the high altitude. 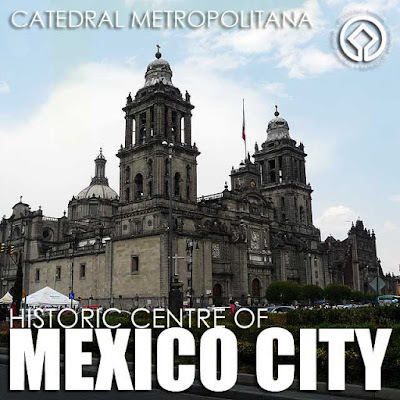 The Historic Centre of Mexico City and Xochimilco, which we would visit a few days later, are UNESCO World Heritage Sites. 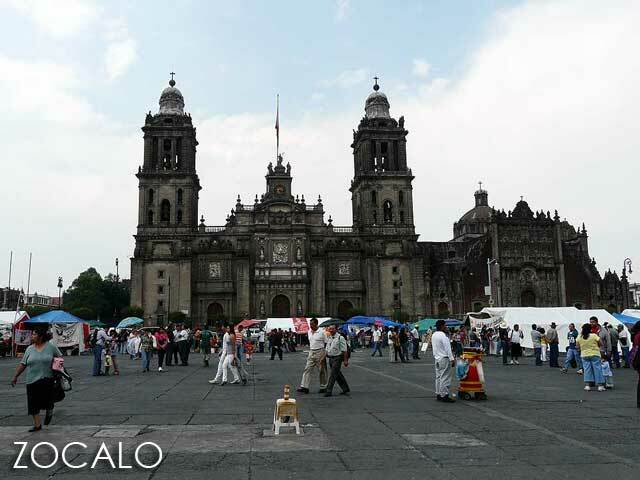 So we spent the afternoon walking around the Zocalo and areas around it. Our first stop was of course the towering Catedral y Sagrario Metropolitano de la Ciudad de México. It's said to be the largest cathedral in the Americas and was built on the ruins of the Templo Mayor of the Aztec city of Tenochtitlan, which the Spanish conquistadores had destroyed to strengthen their rule over the newly-conquered domain. 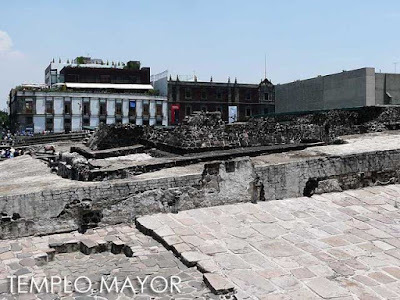 Ruins of the Templo Mayor were discovered right beside the Cathedral in 1978 when an electric company was conducting some diggings in the area. And like in any country which knows the value of heritage, the site was scientifically excavated, studied and preserved. 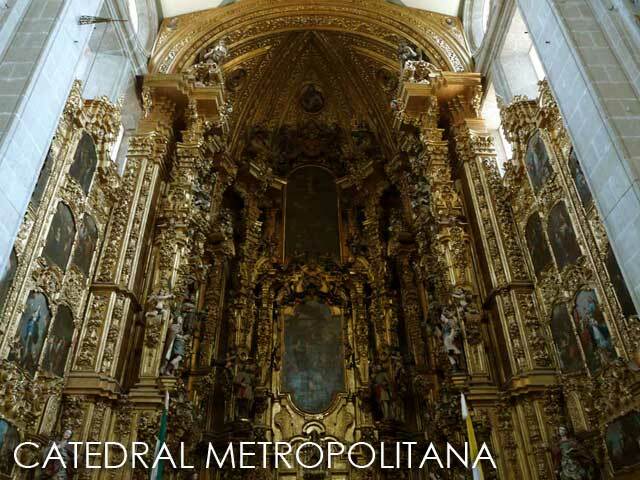 The Metropolitan Cathedral is actually two churches, the main cathedral and the adjacent sagrario or tabernacle. Needless to say, the interior of the Cathedral is very impressive. Unfortunately, we had a difficult time getting really nice photos of the Cathedral and the Zocalo in front of it since Mexico City's main plaza had been converted into a makeshift camp site. With a presidential election looming in several months, the role of the Zócalo or the Plaza de la Constitución as a political hub and popular place for protests was even more evident with different interest groups erecting tents and banners there. 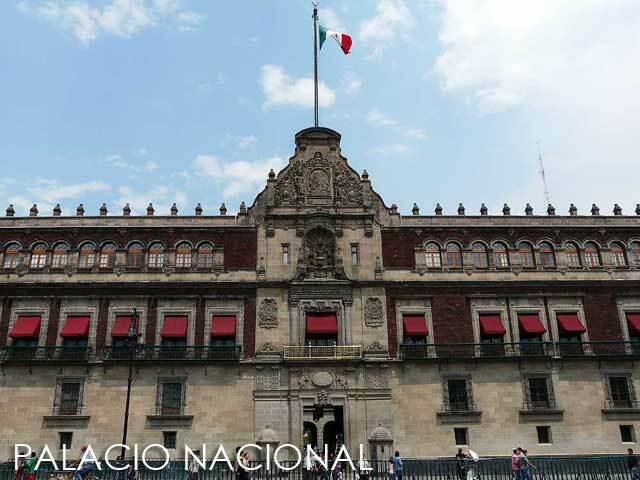 On the east side of the Zócalo is the Palacio Nacional, built on the site of the palace of Aztec ruler Moctezuma II. 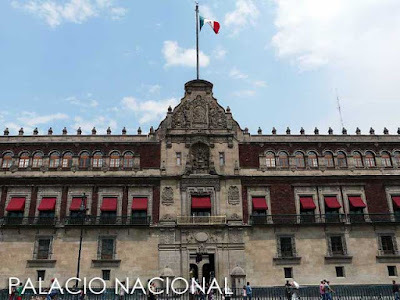 Once the palace of Spanish viceroys, a presidential residence and center of government, it now houses offices of the Federal Treasury and the National Archives. 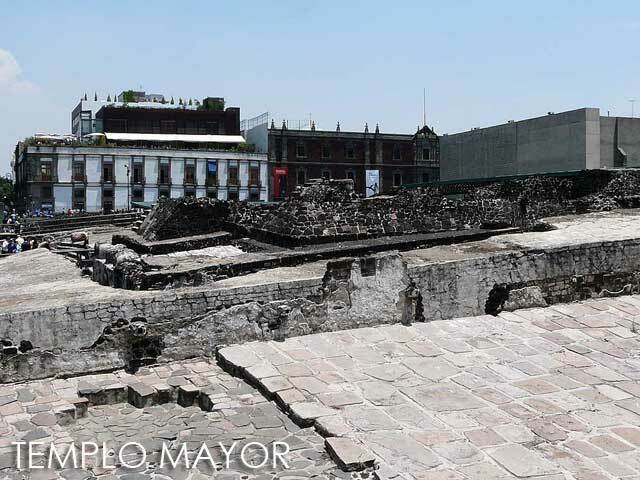 The materials used to build the palace were said to come from the palace of Moctezuma II. 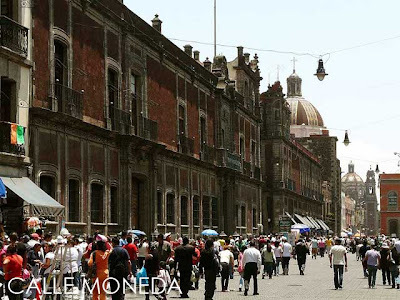 The streets to the east of the Zócalo are one big marketplace which is very reminiscent of Divisoria, but amidst grand colonial buildings, especially along Calle Moneda. I could in fact hear the sounds of commerce from the top of my hostel building, vendors calling out to people to buy their wares. And just like in Divisoria, vendors pack up and run like scared rats, once the warning whistle is sounded. It's actually a good place to scout for some souvenirs. To the west of the Zócalo is a chic pedestrian mall along Calle Madero which reminded me of Las Ramblas in Barcelona, complete with the human statues. 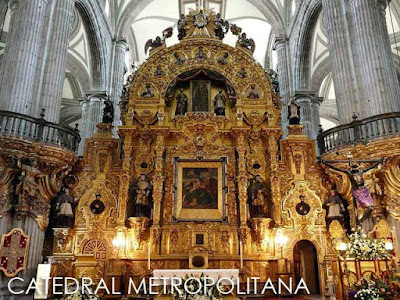 It has a lot of cafes, restaurants, book shops, monumental old buildings and exquisite churches, among other structures. At the opposite end of Madero is the Palacio de Bellas Artes, another grand structure that has become an icon of Mexico City. It's situated next to the Alameda Central Park. The exterior of the building is a mix of Neoclassical and Art Nouveau architecture. But the interior will no doubt make any Art Deco enthusiast go loco over Deco! Since we were hungry, we wanted to look for some Mexican street food. We thought the Alameda was a good candidate. 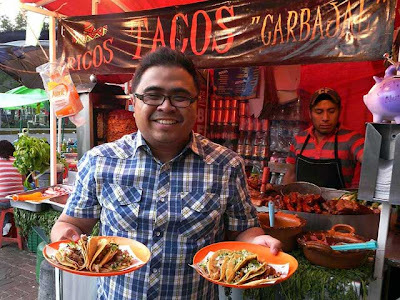 But we found a really interesting taco and torta stall close to the churches of Veracruz and San Juan de Dios opposite the Alameda. The stall was called Carbajal and we had bistec and suadero tacos plus torta with chorizo, hamon and salchicha, thus comprising our initial encounter with real Mexican food! 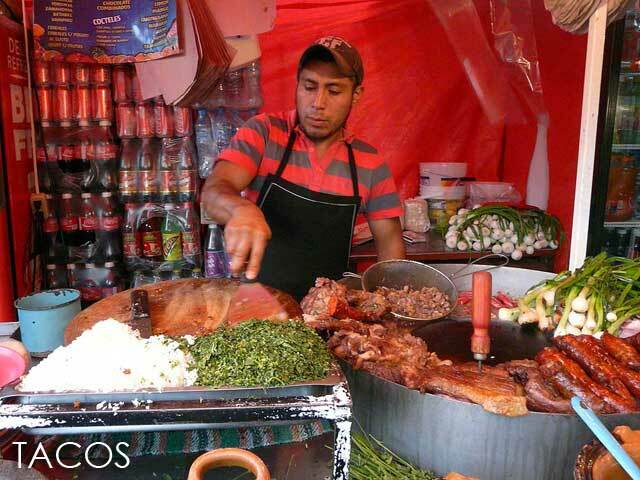 Traditional Mexican Cuisine was inscribed in the UNESCO Representative List of the Intangible Cultural Heritage of Humanity in 2010. 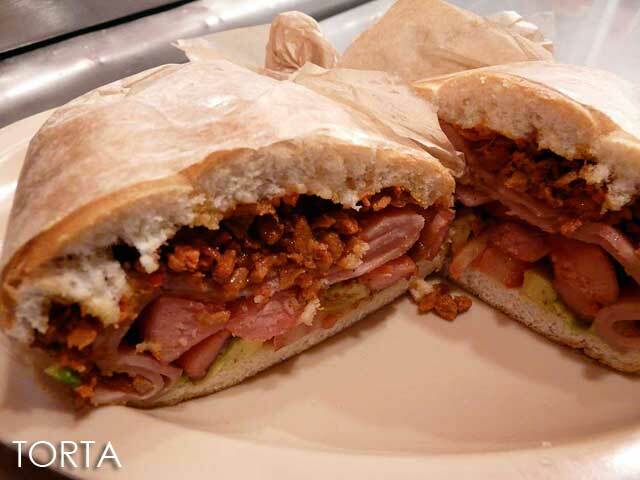 The meats were continuously cooking in their own juices adding flavor to this delightful Mexican snack. Plus you had a choice of various salsas to add to your taco. Note that a good Mexican taco is not complete without the chopped onions, cilantro, limon, salsa rojo and salsa verde as condiments. 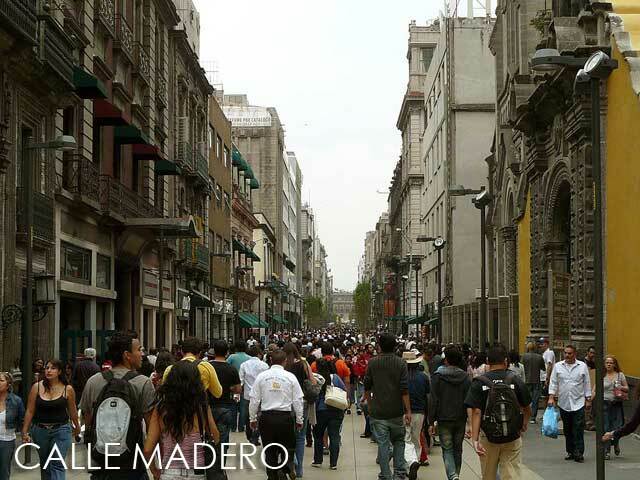 For more photos, check out the Ivan About Town FB album on Mexico City. Lucky Mexicans, they know the value of their heritage and culture. Even their food is inscribed. Plus they understand the potential for tourism. 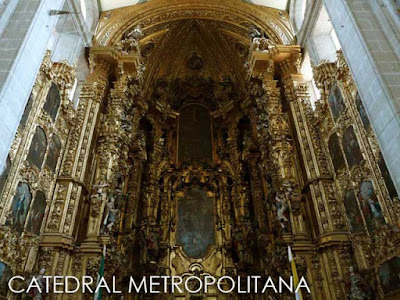 In North America, Mexico has the most UNESCO declared sites. I envy Mexico's policy with regards to their heritage. I hope when we get to that point of concern for our own heritage, there will still be something left to save and appreciate.